Over the past 10 years, there has been much research and a virtual hype surrounding monolayers, or “super materials” (as denoted by “Nature,” a prestigious science magazine). This is due to the fact that these monolayers exhibit excellent potential to transform many areas of physics. According to physics, a monolayer is a solid material with minimum thickness. At times, it is made of only one layer of thick atoms, but in crystals it can be made of three or more layers. Experts have also proposed a two-dimensional form in which the materials present unpredicted properties that provide the interest to analyze these materials. Particulary promising are the so-called transition metal dichalcogenides (TMDC) with semiconductor-like properties. TMDC can be applied in the production of energy-efficient and ultra-small chips. In addition, upon the supply of energy, the TMDCs have the potential to generate light. Dr. Christian Schneider, Professor Sven Höfling and their research team from the Chair of Technical Physics of the Julius-Maximilians-Universität Würzburg (JMU) in Bavaria, Germany, have specifically utilized this effect in their research work. Initially, a simple technique that involves a first step of peeling a multi-layer film from a TMDC crystal using a piece of sticky tape was employed to produce a monolayer. The same procedure can be employed to strip thinner and thinner layers from the film. This procedure is continuously repeated until the thickness of the material on the tape is only one layer. Next, the monolayer was cooled down to a temperature that is a little greater than absolute zero. The cooled monolayer was excited with a laser to cause it to release single protons under particular conditions. We were now able to show that a specific type of excitement produces not one but exactly two photons. The light particles are generated in pairs so to speak. Two-photon sources like these are fascinating because they can be employed for 100% tap-proof information transfer. For this reason, the light particles are intertwined to each other - a quantum mechanical procedure in which the states of the particles are interwoven. Irrespective of the distance between the photons, there is a direct impact of the first photon’s state on the second photon’s state. This characteristic can be employed for the encryption of communication channels. In a second study, the JMU scientists demonstrated an alternative application of the exotic monolayers by again stimulating a monolayer mounted between two mirrors with a laser. The TMDC plate was excited by the radiation to an extent that it started releasing photons on its own. The mirrors reflected the photons back to the plate where the photons again excited atoms on their own to generate new photons. Schneider explained, “We call this process strong coupling.” During this procedure, the light particles are cloned in a manner of speaking. 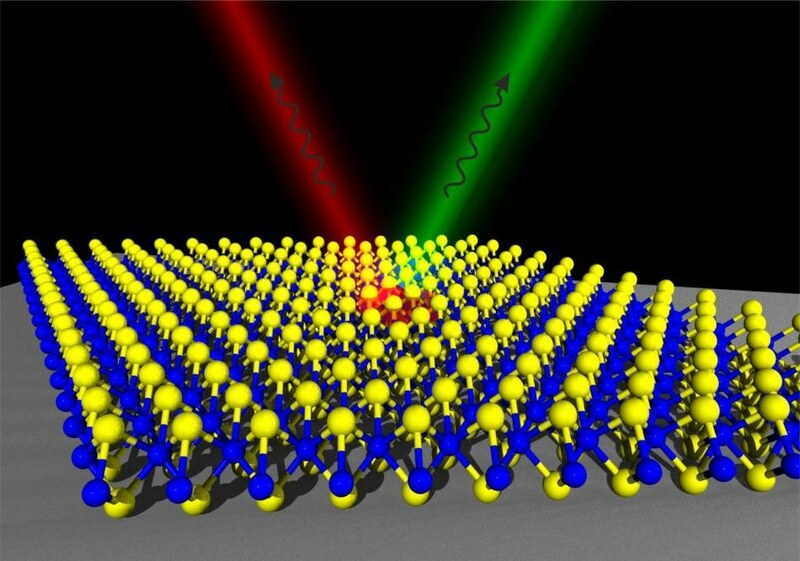 The physicist further added that “Light and matter hybridise, forming new quasi particles in the process: the exciton polaritons.” For the first time, the polaritons in the atomic monolayers can now be detected at room temperature. In the medium run, this will pave way for new and fascinating applications. The properties of the “cloned” photons are similar to that of laser light. However, they are produced in entirely different methods: Ideally, the generation of new light particles is self-sustaining after the process of initial excitation without the need to supply additional energy. On the contrary, in the case of laser, the light-generating material must be permanently excited in an energetic way from outside. This is the reason for the new light source to be extremely energy-efficient. In addition, it is exceptionally appropriate for studying specific quantum effects. Christian Schneider was awarded one of the coveted ERC Starting Grants of the European Research Council in spring 2016. Accordingly, his research on TMDC is funded by the European Union with a total amount of 1.5 million Euros. The initial outcomes of the ERC project have been published as two studies in Nature Communications, which is a prestigious science journal.